Charmbooks lets mommy-to-be capture all the memories from bump to baby! 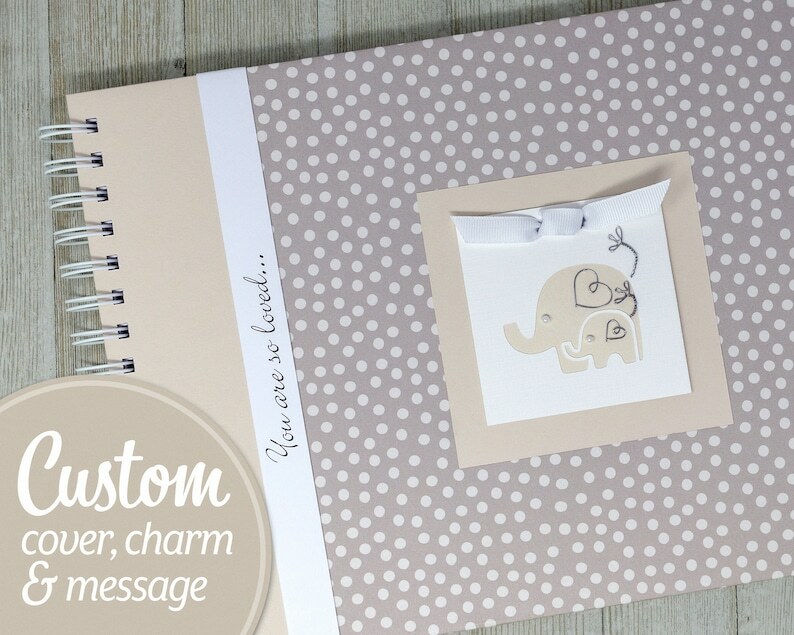 This personalized pregnancy journal features an Ivory Dots pattern and includes your choice of charm. If you like, other patterns are available in my Etsy shop. - 22 prompted journaling pages for motherhood thoughts, baby predictions, list of firsts, self care, check lists, doctor visit notes, birth details, and more. 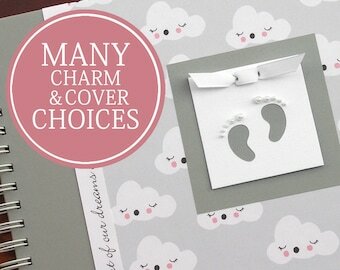 - 22 blank scrapbook pages for belly shots, ultrasound pics, baby’s first photos, and other mementos. 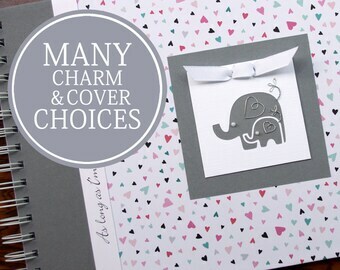 I will send a proof of your personalization to your Etsy account. Please check your Etsy account within 24 hours to approve this proof so I can get your book to you on time. 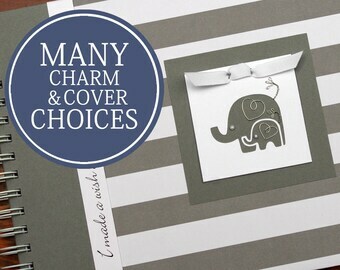 You can add extra photo & journaling pages, shower guest & gift pages, and/or a keepsake envelope to your book. - Photo & Journaling pages: 20-page set includes an extra 10 lined journaling pages and 10 blank scrapbook pages. Two journaling pages and 2 blank pages will be inserted into “First Trimester” and “Baby's First Days” sections. Three journaling pages and 3 blank pages will be inserted into “Second Trimester” and “Third Trimester” sections. Purchased this lovely book for my daughter. The quality is beautiful and it was delivered on time, as promised. Seller was very nice during the selection process and followed up to insure we were pleased with the purchase. Would highly recommend this seller. Absolutely love this!! Couldn't be happier with how it came out!! This adorable book was exactly as described and shipped on time. Ann-Marie was thorough in making sure I confirmed my choices and package it nicely to ensure it came to me with no issues. She also sent a nice handwritten thank you for my order. I would def buy from Charmbooks again!